The weathered wood of an old boardwalk. The smell of coconut on skin. The sound of waves crashing into the shore. Otherwise known as the beach. Sitting in the shade of an umbrella as the sun beat down and the stifling heat reflected off the sand, I couldn’t help but wonder, “Who came up with the idea of going to the beach in the first place?”. I mean, we make an entire vacation out of it. 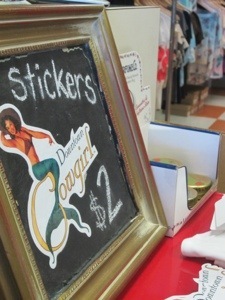 No small or inexpensive matter. And we’re not alone; millions of land lovers flock to the ocean’s shores every year. 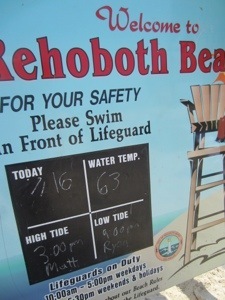 For the first time our family vacationed at Rehoboth Beach, Delaware. We discovered all the charm of a small seaside town, with a super fun water park, independently owned shops and fabulous restaurants. The restaurants just may keep us coming back for years. 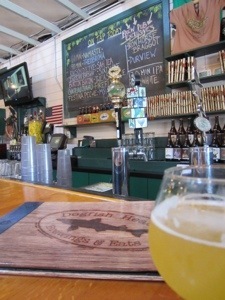 Dogfish Head Brewings & Eats. 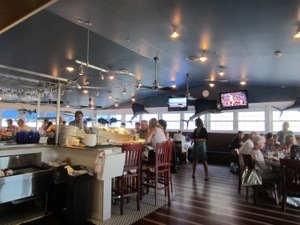 Stop by for a bite or, even better, a liquid lunch sitting at the bar. Beer lovers be prepared for a cab ride. 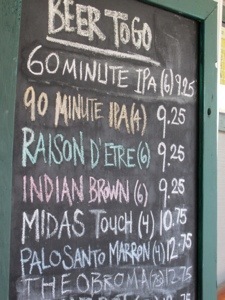 This place is Mecca and Medina for hops worshipers. And the t-shirts are cool. The best part? 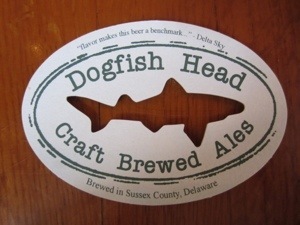 It’s brewed right here in Delaware. 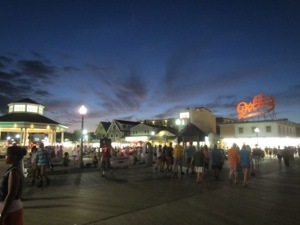 Rehoboth has some outstanding restaurants and I can speak personally of a few of them. 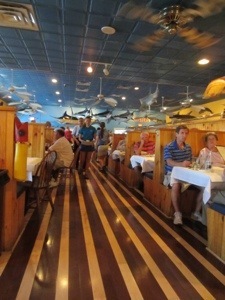 For delicious seafood in a raucous family friendly atmosphere try Big Fish Grill. 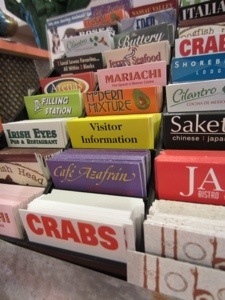 For date night go to “farm to fork” Salt Air. 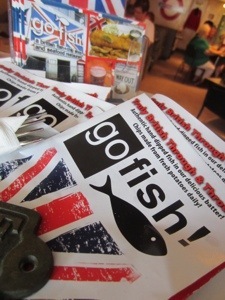 For a taste of Great Britain in the States try Go Fish!. 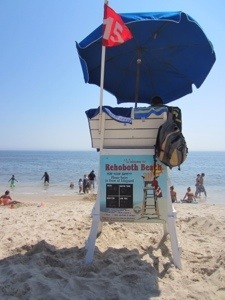 For fresh steamed seafood to takeout go to Rehoboth Seafood on Highway 1 (302-227-3551). 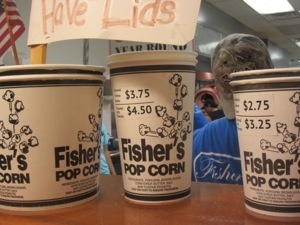 Finally, no trip to the Delaware Shore is complete without Thrasher’s Fries and Fisher’s Popcorn (which you can take home in a decorative tin) if it lasts that long. 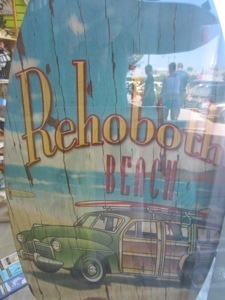 If it’s shopping you enjoy, skip the outlets in favor of the many small boutiques and shops on and surrounding the main drag, Rehoboth Avenue. 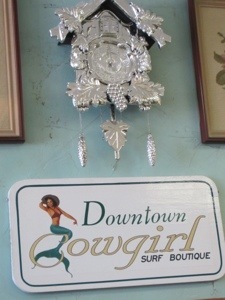 We liked Downtown Cowgirl, Azura, Jane and Georgie, and In2Soles for women’s clothing, shoes and accessories. 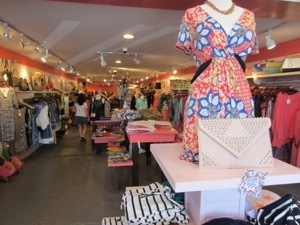 For home goods and gifts check out The Pelican Loft and Stony Run Home which also has an outpost in Baltimore, MD. TRAVELERS TIP – get your hands on a copy of “Main Street’s Official Guide” full of coupons and a handy map of the town.